The religious and magical practices of the ancient Egyptians have had a profound and lasting effect on the world. Egypt has been described as the "mother of magicians". To appreciate the Egyptian view of magic, we need to accept that to the Egyptians magic was not considered strange or eccentric, but was a part of daily life, to which everyone resorted. Magic blended seamlessly with religion and medicine, being seen as part of a holistic worldview. In this volume these magical and religious practices are explored, from both a historical and practical perspective. The practices are explored from an ancient Egyptian worldview, taking into consideration that the Egyptian culture spread over a period of more than 3000 years. The Egyptians saw the universe as being made of four worlds - the everyday world we live in, the underworld, the sky and the heavens. 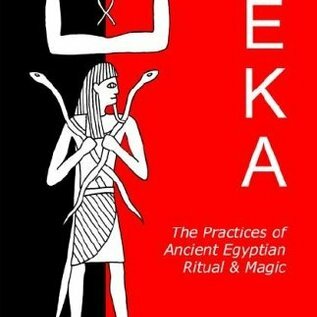 Subject covered in this book include: -What is Heka? -Ancient Egyptian Worldviews -The Gods and Goddesses of Magic -Symbolism - Colours & Sacred Numbers -The Tools Used -Sacred Words & Gestures -Statues & Masks -Crystals & Other Materials used in Heka -Incenses & Perfumes -Food & Wine used in Offerings & at Feasts -The Ancient Egyptian Magical Calendar -Purification, Sacred Space & Rituals David Rankine is based in London (UK) and is a respected authority on spiritual & magical practices. He is the author of many books, including Climbing the Tree of Life, Circle of Fire & The Guises of the Morrígan. 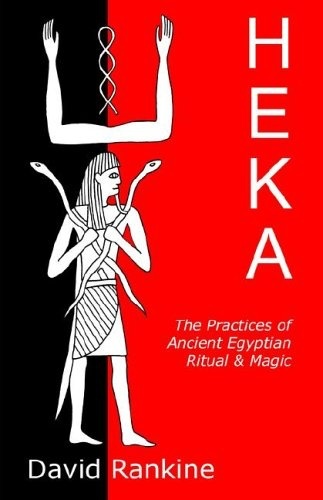 This book, HEKA - The Practices of Ancient Egyptian Magic, is the result of careful research & practical work and is highly recommended to students wishing to pursue practical work within this system.